First Etsy Wish List of 2016 and I think it’s an awesome one! It’s a cat and it’s purple….I don’t think this pin could be more awesome. 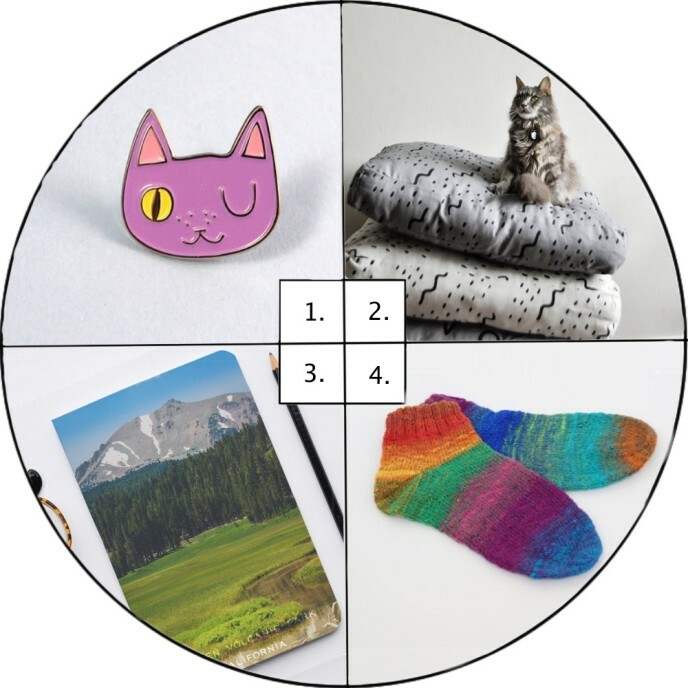 If you’re a crazy cat person, like me, you NEED to check to this shop it’s all cat stuff! I also love rainbow socks : ) especially when the 2 don’t match. I used to have a pair similar to this, that Nana made for me, but I wore them out last winter.